This early and rare Tiwi carving is unusual in its depiction of the female figure with small round breasts and tapering legs. It possibly depicts Bima (or Wai-ai), the ancestral wife of Purukuparti. The painted design, especially the dotting, are typically Tiwi and appear to be applied in the traditional manner with a wooden comb or pwata. 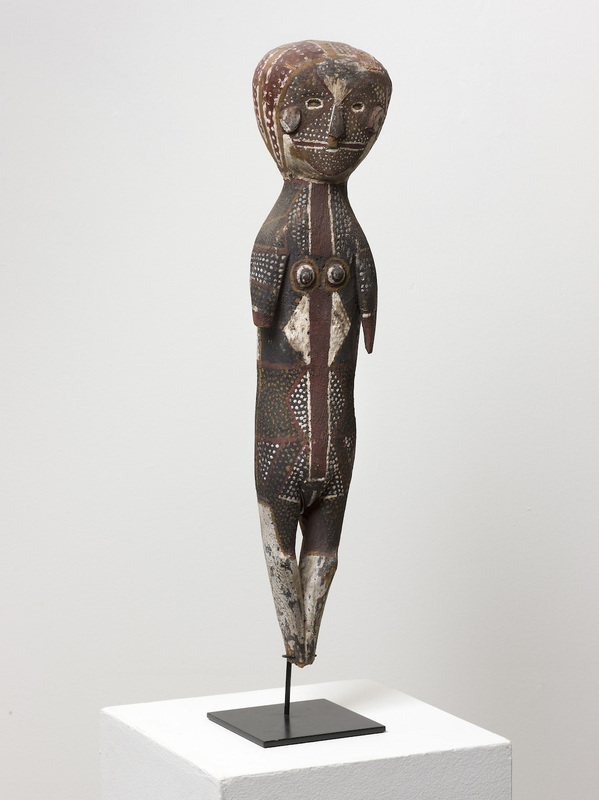 A similarly decorated figure dating from 1965 by an unknown Tiwi artist is in the collection of the Art Gallery of Western Australia.